In many countries, young brides—children—have often been married off to ensure fertility and to tie families together. Japan was no exception. In the tense time that Tamahime was born, the Tokugawa Shoganute, though well-established as the ruling samurai lords over the country, could still be threatened. All eyes were on the Kaga Domain—of which Kanazawa was the capital—and the abundantly wealthy ruling Maeda clan. Tamahime was the second daughter of the shogun Hidetawa Tokugawa and the granddaughter of Ieyasu Tokugawa. She was also the darling of the family. Her name translates as Princess Jewel, Pearl, or Bead. Another possible, though perhaps unintended translation is Princess Tears. 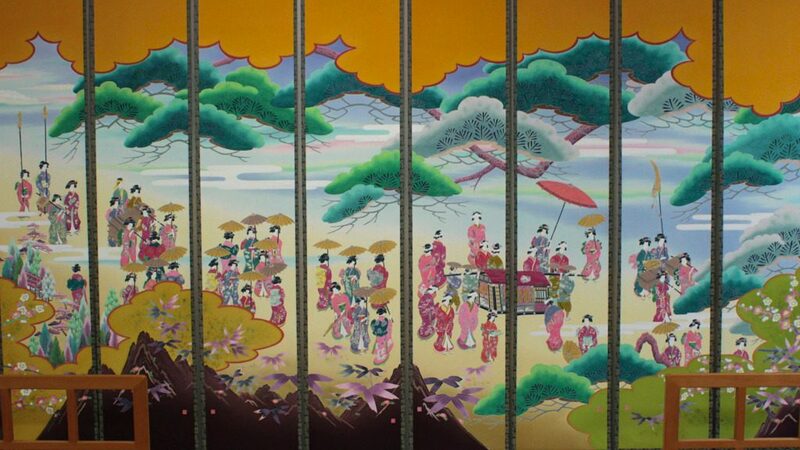 Edo-era wedding procession on Kaga-yuzen kimono silk fabric, from the Nagamachi Kaga-yuzen Kan in Kanazawa. 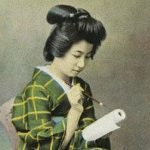 At three years of age, she was to wed to the then nine-year-old Toshitsune Maeda, Toshiie’s fourth son, in the wedding of a century. Her presence within the Maeda family was a symbol of the Tokugawa’s trust while also serving as a check on the Maedas’ status. Their children would ensure that the Maeda family was, from that point on, a branch of the Matsudaira family, parent family of the Tokugawas and what would become the nobility after the Meiji Restoration. Roads and bridges across the country were repaired and secured, and a number of inns and lodgings were opened especially for Tamahime’s procession. 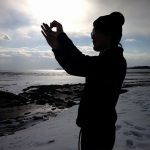 The trip from Edo to Kanazawa took around 90 days. Music and dancing met the procession along their route, evidence of the people’s belief that the marriage would ensure peace. At Kanazawa Castle, a new palace with a view was constructed, along with a number of flowering fruit trees and a new pond full of koi fish. 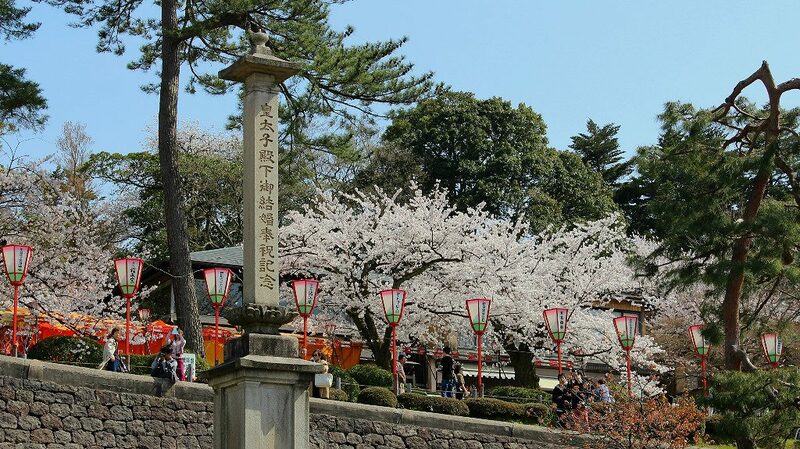 Sakura cherry trees line the road alongside Kenroku-ens “Edo Town,” where Tamahime’s servants lived. 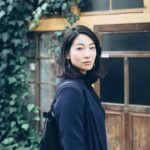 Among the hundreds that followed Tamahime during her procession to Kanazawa, her ladies in waiting would come to occupy the space now known as Edomachi (“Edo Town”), the restaurants and shops along the western edge of Kenroku-en Garden. By all accounts, the children held no animosity toward each other, and were instead very fond of one another. 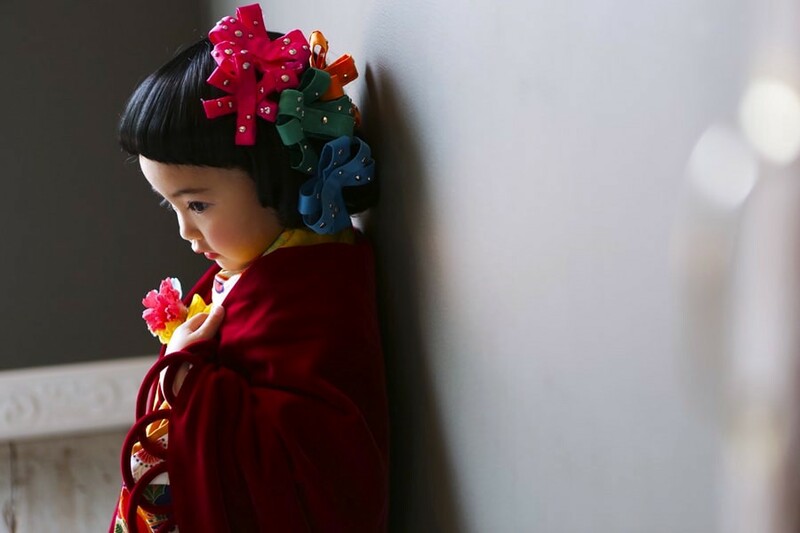 According to one story, while longing for her mother from whom she was now permanently separated, Tamahime made hina matsuri dolls out of paper to put on display and ease her heart. Normally, such festival dolls, a symbol of the connection between mothers and daughters, are only displayed in spring. As it was not the festival season, Tamahime was refused. 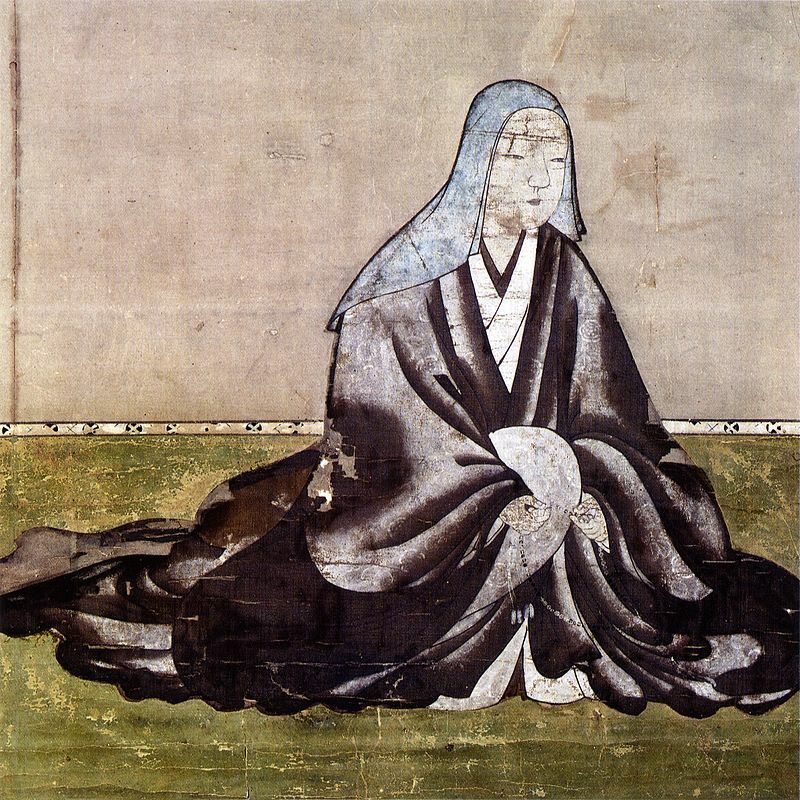 Oeyo, the mother of Tamahime Tokugawa and whom Tamahime dearly missed in her youth, wikicommons. But as her tears came down, Toshitsune gave a strict order, “Don’t make my wife cry!” The dolls were then put on display, per her wishes. Tamahime passed away at only twenty-four, shortly after the birth of her seventh—by some accounts, eighth—child. Toshitsune was said to have cried openly at her funeral, an unheard of act among the stoic samurai classes, and an unabashed expression of his attachment to her. 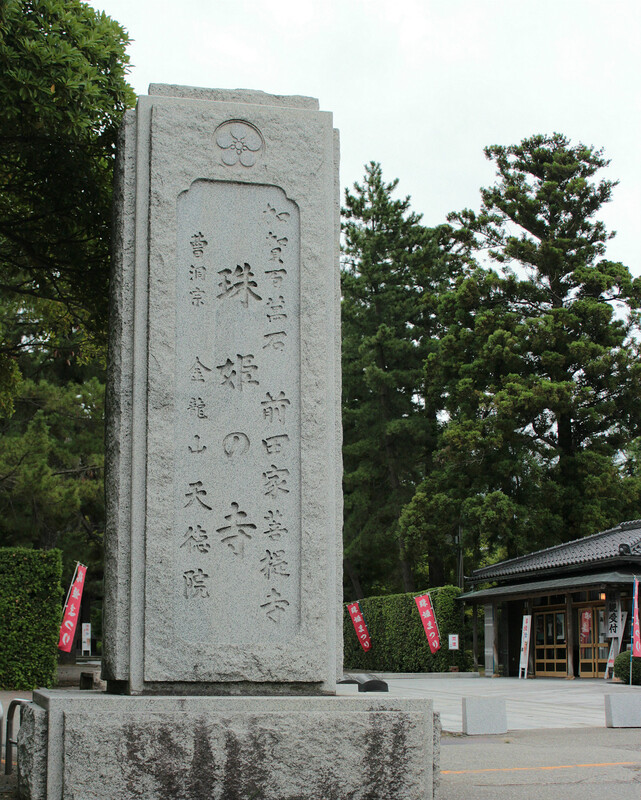 Toshitsune had the temple of the same name established in her honor. Her ashes were divided between this and a Koya temple that also shares in name. 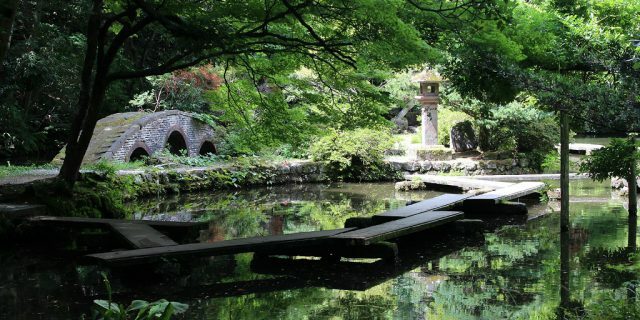 The ashes in Kanazawa were later moved to the family plots in nearby Nodayama. 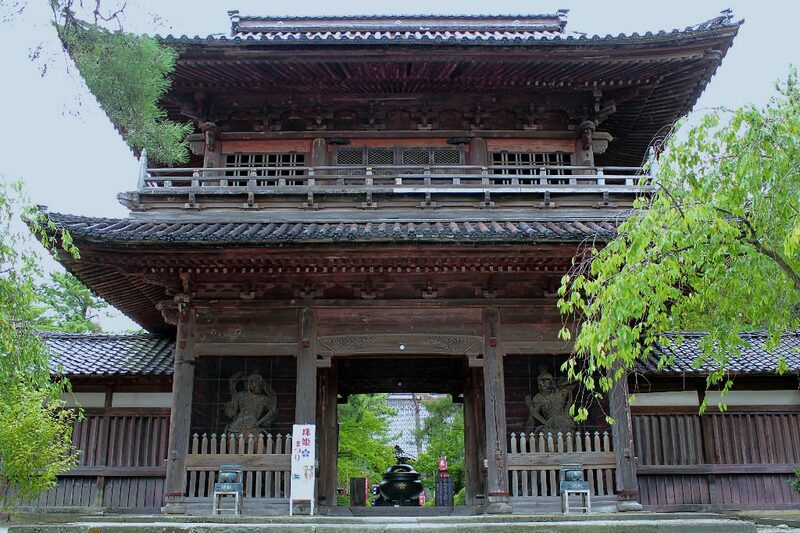 Nestled along the Kodatsuno Plateau and surrounded by residences, this “Princess Temple” is less known and frequented by non-Japanese tourists, despite its significant history and beauty. The temple is worth a visit it its own right, one of the larger found within the city’s center and a short walk from the oldest sake brewery in Kanazawa. Outside, a large stone monument declares this a temple dedicated to Tamahime and the Maeda family, the ruling daimyo of Edo-era Kanazawa. 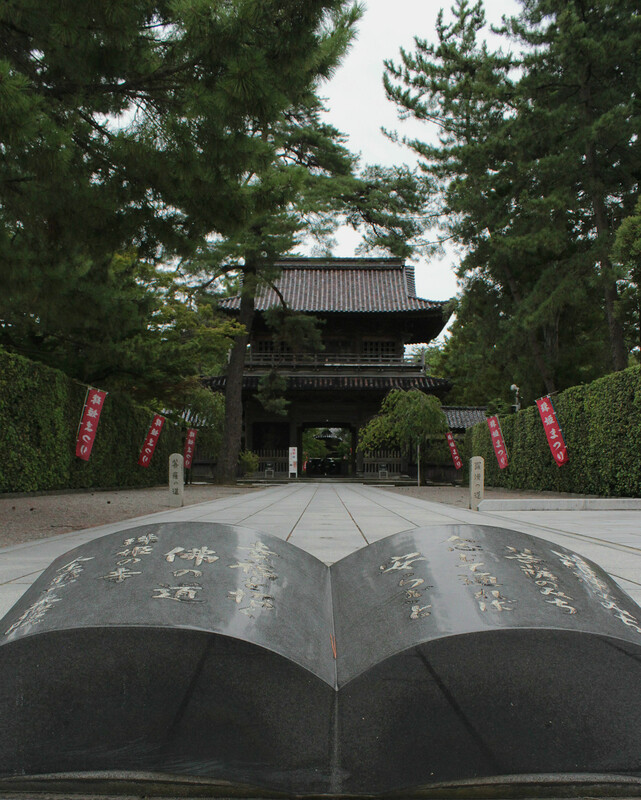 The walkway and temple entrance are veiled in pine trees, symbols of steadfastness and long life. 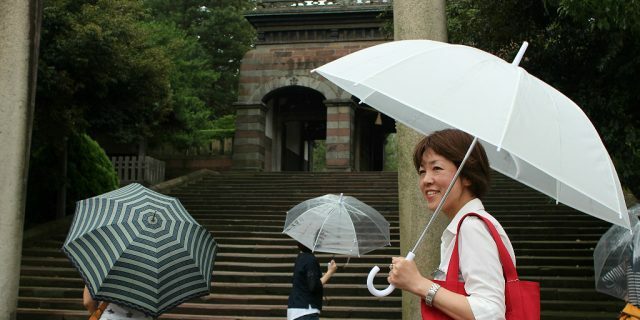 In spring, a collection of sakura welcome visitors nearest the front. 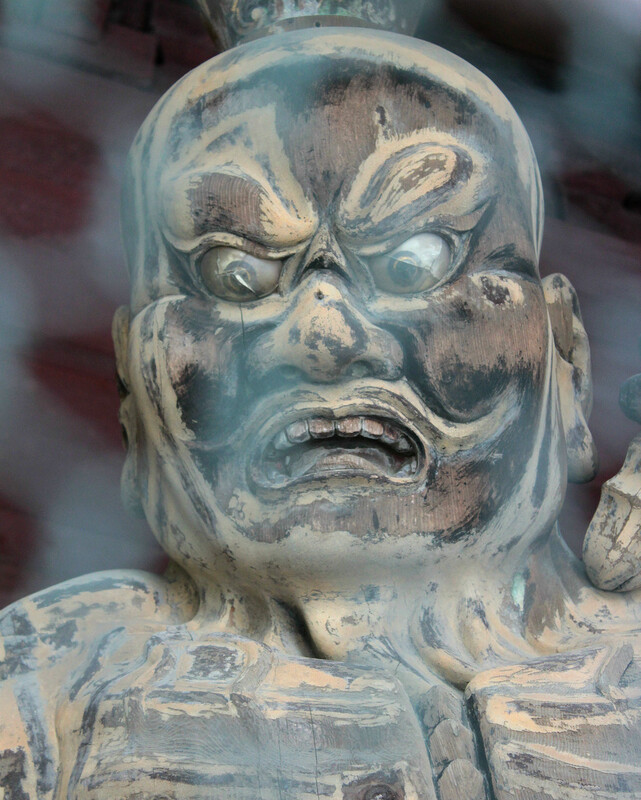 Two very fierce and very weather-worn Niō guardians stand watch at the front gate, protected from nesting birds by wire. Long halls border the green inner cloister. 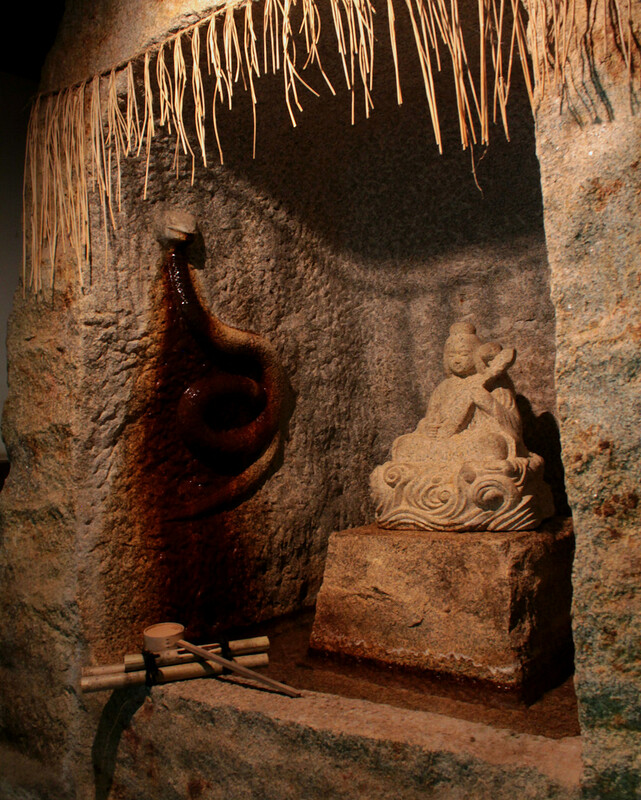 The southern walkway hosts a stone carved okiyome, where visitor purify themselves with the water that flows from the mouth of a snake. 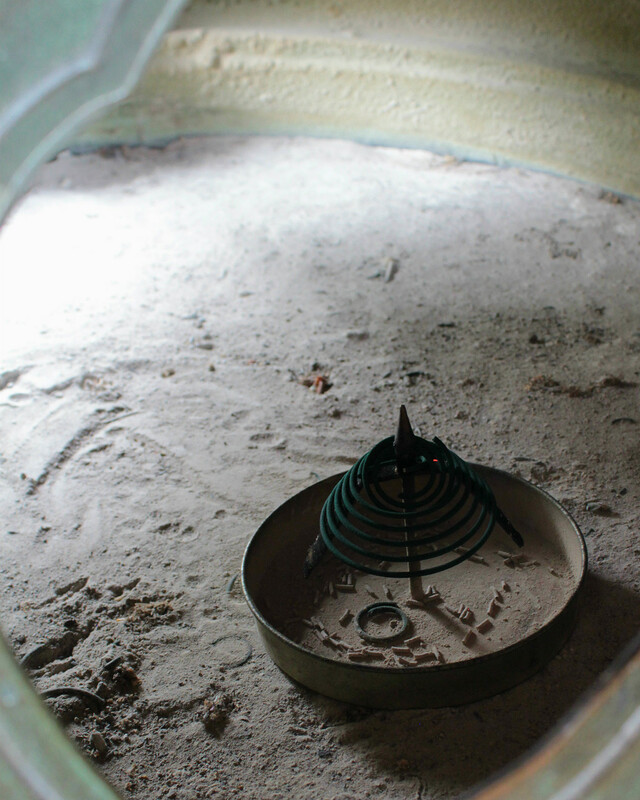 Further down the same hall, the ceiling opens to a large, iron bell. 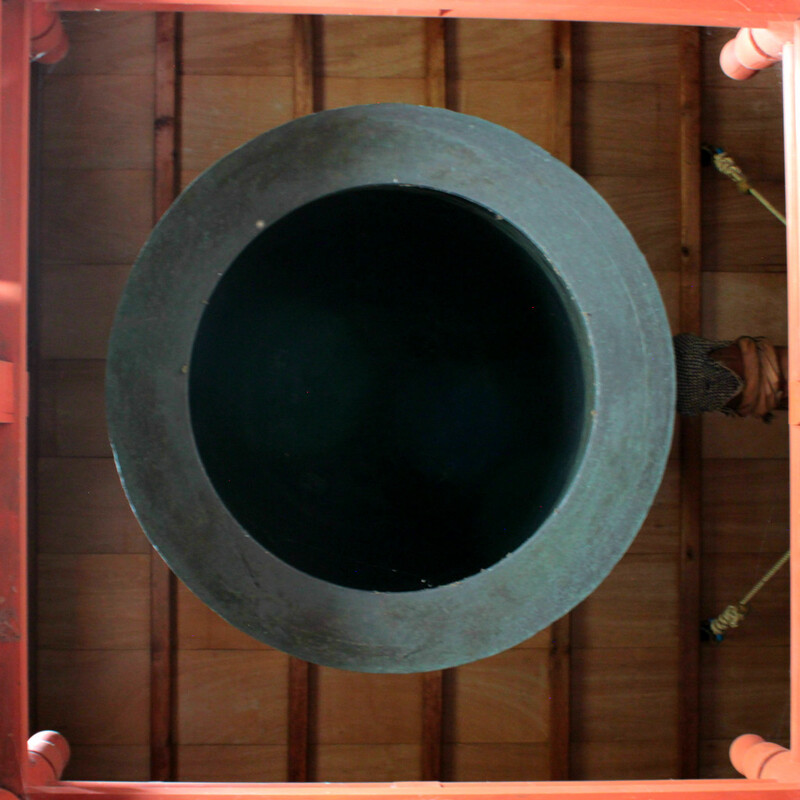 This ritual bell once belonged to the Takezawa Palace, the royal retirement home that once stood on the grounds of Kenroku-en and whose parts now make up half of Seisonkaku Villa. 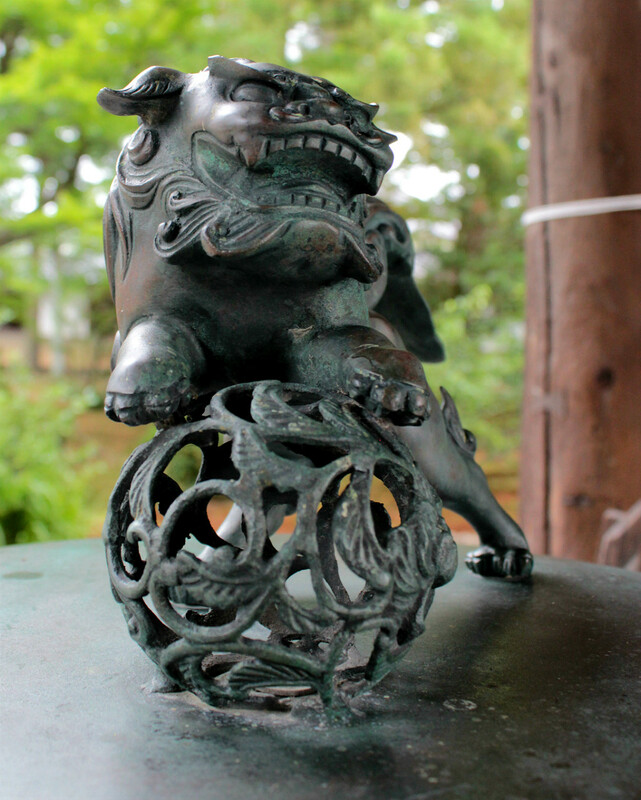 The story goes that Kaga’s 12th daimyo, Narinaga Maeda, had originally brought the bell to his home. 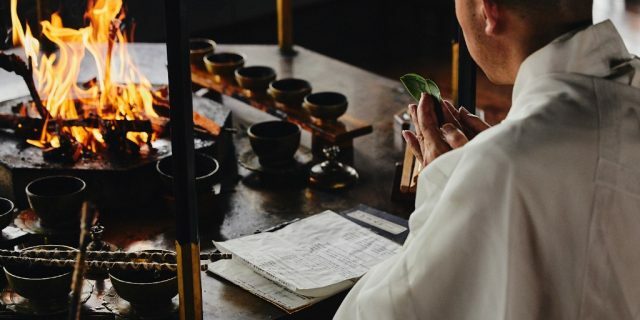 The bell came to him in a dream and spoke, saying, “I wish to be at Tentokuin.” Narinaga immediately ordered the bell be moved to its new home. 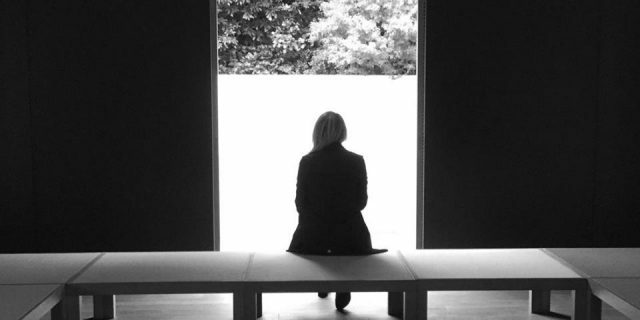 No photography is allowed inside. Continuing along the southern hallway to the temple proper, guests are asked to remove shoes. The temple staff at the ticket and information desk speak only Japanese but are both enthusiastic about and reverent of the holy site. 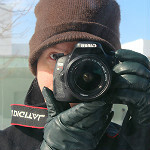 For those who can understand Japanese, a talk and brief tour is given. The pamphlet includes English descriptions, and QR codes with links to English translations are located near some displays. The artifacts of Tamahime’s life are displayed, including Tokugawa and Maeda family treasures, and proudly, Tamahime’s handmade paper dolls. One of the central rooms is dedicated to the temple’s namesake. Visitors can peek inside to see the intricately detailed and brilliantly colorful statues and decor that invoke a welcoming Heaven. As visitors make their way toward the back wall, the chanting of monks is heard. The baritone drone is a reminder that this Soto Zen temple remains an active site of worship. 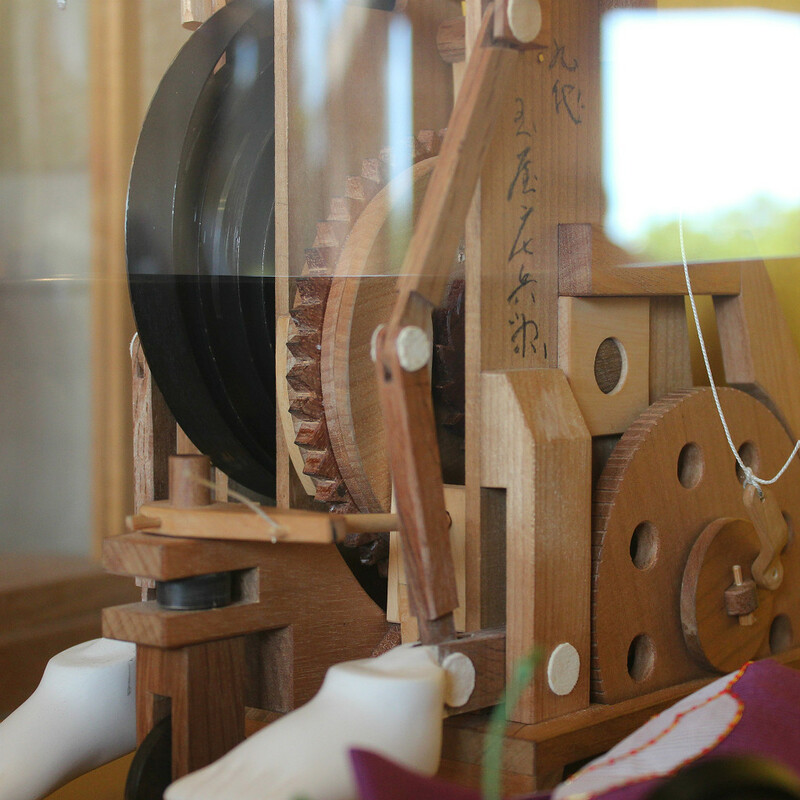 The machinations of a karakuri doll, at the Ohno Karakuri Museum in Kanazawa. The northern section of the main hall holds a gallery of smaller items behind glass, including intricately carved prayer beads. At 10:00 a.m., 12:00 p.m., 2:00 p.m. and 4:00 p.m., an adjacent room is opened for a karakuri (Edo-era wooden mechanical automata) stage show, depicting Tamahime’s life in a minimal, Noh-esque style (Japanese only). Winter visitors be aware that the temple closes at 4:00 p.m., and the last showing will be at 2:00 p.m.
Around the back, on the southern side, visitors may sit and overlook the private garden after a bowl of matcha tea. The layered plants and trees are particularly striking in late autumn, when the yukizuri snow-suspensions have been mounted. 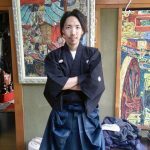 Your Custom Kanazawa Tour at Kaname Inn!